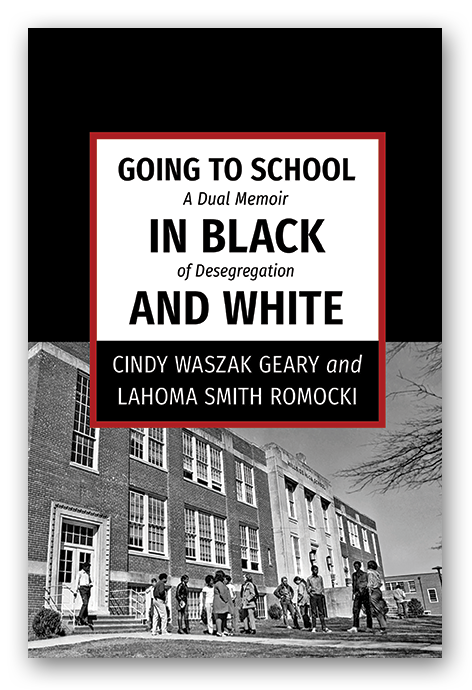 The story of how we, Cindy and LaHoma, one of us white and one of us black, come of age in the midst of 1970s' court-ordered school desegregation -- and what this experience means to us now. Sharing our memories became a worthy experience itself and one that we hope will inspire others to risk potentially difficult conversations during these critical days in our complicated America. LaHoma and Cindy tell their stories aware of the country's return to de facto school segregation, achieved through the long-term dismantling of policies that initially informed their school assignments. "Cindy Waszak Geary and Lahoma Smith Ramocki have ushered forth a lovely story rich in conversation. Their shared personal memories and exhaustive reporting chronicle how desegregation truly moved what might have looked like immoveable barricades for two young teens coming of age in the 1970's in Durham North Carolina. Their story of friendship and trust building is part historical narrative and part rich landscape for promoting dialogue and reconciliation among diverse and polarized racial, ethnic, and religious groups. The challenges of identity, assimilation, achievement, and politics that were faced by Lahoma and Cindy are the same challenges our youth are facing today. Going to School in Black and White offers unique opportunities for deepening our understanding about implicit biases and stereotypes by relating personal experiences to shared systemic concerns. Immense gratitude to Cindy Waszak Geary and Lahoma Smith Ramocki for strengthening their own dialogues and agency around productively writing about choices, hardships, stereotypes, expectations, and the beauty of soulful communion." "This book offers a unique first-hand perspective which provides critical insight into the desegregation of public schools and those who were pioneers in doing so." - NC State Senator Floyd McKissick Jr.